‘Heroes in waiting’ he said, but…. On a morning with not much gossip in the world of football, I thought I would reflect back on another article from Arsene Wenger written in 2003, a year that saw us beat sides like Manchester City 5-1 at Maine Road but then lose to Blackburn Rovers at their home ground 2-0. The team that beat City was Taylor, Lauren, van Bronkhorst, Keown, Campbell, Gilberto, Vieira, Pires, Wiltord, Bergkamp and Henry. Substitutes for the day were Ray Parlour, Edu, Jeffers, Cygan, Warmuz. Back in the same year though we started to hear from Arsene about how well the Youth Academy was doing and how important it was for the FUTURE of our club. ‘I personally feel that we have about nine or ten players who are really close to the first team and to able to say that is fantastic’. ‘I am talking about the players who are aged between 18yrs and 21yrs. For example we have, David Bentley, Jeremie Aliadiere, Ryan Garry, Jerome Thomas, Sebastian Svard, Moritz Volz, Jermaine Pennant, Graham Stack, Kolo Toure and others too, there is also a young Swiss defender Philippe Senderos who will be joining us in the summer’. All very interesting I am sure, but apart from Kolo Toure and David Bentley – just where are the players now? Phillipe Senderos – I don’t think anyone really knows what’s going on with him. My point is, in 2003 Arsene Wenger was telling the world that we had so many play ready to play for the first team. Well, not many of those he bragged about back then went on to play for us on a regular basis, only Toure and Senderos and I wouldn’t call either of them a hero. Has anything really changed since then? – Are there a few Heroes in waiting right now, or will they go the same way as some of the players above? How desperate are we to see us stop giving away cheap goals and they don’t come much cheaper than those we gave away on Wednesday do they? The first was about the lack of ability of Almunia, the second though was a bit of a mix of dreadful defending followed by another Almunia howler…..
We have Thomas Vermaelen, but what he needs is a great keeper behind him and another centre half alongside him other than Gallas. Hey we all know that, even Arsene Wenger confirmed that yesterday..
Bouldy is and always be an Arsenal Legend in the hearts of most fans. He came to us in 1988 and spent the next eleven years being part of the rock solid back four of Arsenal. That same back four was the heart of our side, the side that often got teased about ‘1-0 to the Arsenal’. Right now I wouldn’t mind us playing 38 games a season in the Premiership, winning all of them by that same scoreline, would you??? Along the way in Bouldy’s playing career with us, he help the team win the league in 1989, 1991,and 1998, the FA Cup in 1998 and the European Cup in 1994 – pretty good, eh… Isn’t that just what we need now, a centre half that is a tight as Arsene Wenger and the rest of the board are with their money? Would Steve Bould and Tony Adams together have let half the goals scored against us over the last few seasons be scored? The answer is simple, No, they wouldn’t, they would have shed blood before conceding goals, that’s the way they played! Bouldy didn’t join us until he was 26 years old, by which time he was ready, entrusted by George Graham he made his mark at Arsenal, to this day he remains a very trusted man, though this time it’s under a very different kind of coach in Arsene Wenger. When his days with Arsenal ended he left to go to Sunderland, after just 21 games for them in the Premiership, he retired, but, in 2001, Steve Bould re-signed for Arsenal, this time though as part of the coaching staff, not as a ‘Sol Campbell’ comeback…. He also said that as the rewards (wages) have got better, kids are more focussed. What are the players today more focussed on though? Earning more money or playing football to the highest standard? Are they committed to giving all in every game they play or just thinking about what big flash car they can buy next, I don’t know the answer but in the last couple of games it seems more like the latter. Bould always thanks Liam Brady for bring him back to Arsenal, without Brady hearing the rumours about him wanting to get back into football, he wouldn’t probably had his chance to coach, let alone at Arsenal. Bouldy also made reference to Arsene Wenger and how he was grateful for extending his playing days and supporting him then, something which Wenger still does today..
Me, I think Bouldy is one of the best centre half’s Arsenal have ever had, and right now we need another like him. We need to sign one, maybe even two! Not only was Bouldy one of our best players in his time, I also happen to think he is one of our best coaches. he’s been there, he’s done it, he’s got the medals to prove it. What he can teach our up and coming crop is second to none. Not only in the world of defending but he can drum into them what its like to be a winner. Thankfully he was and still is at Arsenal and its our players who will benefit from all he has been through. Bouldy’s youth side have all but wrapped up their league title before tomorrow’s game and brings me to ask one question. With all Steve Boulds experience, quality and attitude, isn’t it about time this great man was given a chance at a higher level at OUR club……?? Would you like to see him back in the Arsenal dug-out? Bearing in mind the news is filled with Terry v’s Bridge saga, Pompey going into administration and us going after a few more young starlets, I thought I would write about something different. I feel for Bridge though, what has he done wrong during all of this? Why is it him who has to lose out? Anyway, moving on……….. Yesterday I mentioned that Tony Adams had been the first guest on ‘An Audience With’ – a new online programme on AFC.Com, since then the channel has aired an interview with Martin Keown – so I thought I would write about a few of the views he expessed during the interview. Well some of them! Keown, the man who so many times bossed the defence together with Big Tony, the man who I fondly remember reacting slightly, after a certain Manc we all know as Horsey, missed a penalty! I remember that penalty miss and the aftermath – great wasn’t it? Just in case you have forgotten it….. Sorry if this offends, but not everyone has access to AFC.com. When asked about our chances in the Premier League, he highlights the massive losses to our arch rivals. He says it’s time for talking on the pitch. Everything he thinks is about the future and players need to be playing for that. The fixtures favour us in his view, the only difficult one being Tottenham away, Hull and Stoke away are tricky, but the team needs to show different qualities to get results there. I love the WE bit! 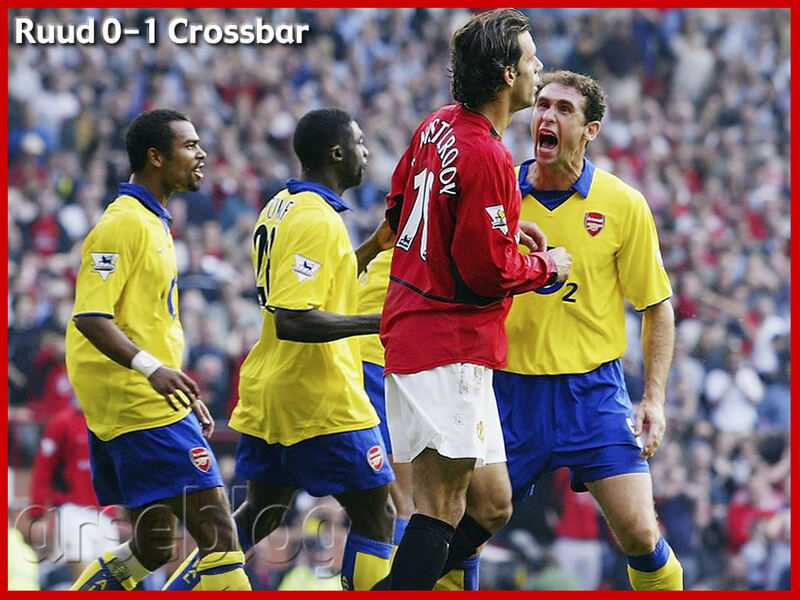 Often we all talk about Tony Adams being Mr Arsenal, but when you sit back and look at the commitment shown by Keown, the determination in his eyes when playing, the ‘you ain’t getting by me’ attitude – wouldn’t just love a defender like him in front of Almunia? I know I would!! He is right of course, we have had more than our fair share of injuries, for most of the season we have had one, two, even three of the better players out at the same time. How do you replace Robin van Persie? How do you replace Arshavin? How do you replace Nikki and Theo? (I won’t answer that). The answer is, you can’t!! You get my gist; we have had more injuries than most have suffered, certainly more than the five or six clubs around us at the top! Keown then goes on and on about the future, how we are looking for this, we are looking for that? Strange, did Arsenal get Martin Keown back to be involved in the club? Did that snippet of news pass me by? Did it pass you by? Keown reckons the Champions League is our best chance of a trophy this season but doesn’t dismiss the league IF we win all our games! He talks Stoke, how they have shrunk the pitch to the minimum size, how they throw in the towel before every thrown in and corner! What he then says is we just need to play football, do what we do best and Stoke won’t be able to match us. Conquer the fans he says and all will be ok. Finally he says that Sol Campbell was a good re-signing……. He thinks we will beat Stoke..
Martin Keown, So do I on both accounts……..
For Stoke we should have Eduardo back, but still no Gallas, Diaby and Arshavin, still think we will beat them though, just! Have a nice day guys and gals…. Still unsure as to whether Alex Song will play against Porto on Wednesday so I thought about Craig Eastmond – the player many hope to see take his place. We probably all know that Arsene Wenger will replace Song with Denilson sadly, but let’s take a look at just who Craig Eastmond is and where he came from. Coming from a big family was crucial in Craig’s formative football years: he was the youngest boy with five brothers and one sister – Craig used to play football with all his brothers and their friends and he says that helped him to toughen up mentally and physically. They also used to coach him from a very young age which he believes gave him a head start. A couple of his brothers had early footballing careers with Millwall and Wimbledon, but both were cut short. Born in London, his first club was Millwall. After two years there he moved to Arsenal in 2002, aged just eleven years old. Craig is described as being able to play right back or in the defensive midfield position, a bit like Francis Coquelin. He is just nineteen years old and stands 6ft tall. Both Eastmond and Steve Bould have said that right back is not his best position, so it looks like the holding/defensive midfield role is where we will see him most used. By his own admission he lacks a bit of pace but his major strength is having the ability to read the game, something which Arsene Wenger has also observed. He has obviously impressed the club over the years and in June 2009 Arsenal announced that he had signed his first professional contract at the club. This was not long after he had played a huge part in the team that won the Youth FA Cup earlier the same year. Eastmond has made four starts and two sub appearances for the first team and in a recent interview with AFC Online, he says he doesn’t feel properly part of the first team set up but believes that if he continues the way has been playing, it won’t be long before he is – he is surprised though that he has been given the chance so early after signing his professional contract. His proudest moment is his full debut in a 2-0 away win at Bolton – his most bitter to date is the defeat at Stoke in the FA Cup, however, what I find quite interesting is that he says he didn’t feel the buzz, the excitement of playing in the good old English FA Cup, not like players did years ago. What he wants though is to be part of the first team squad permanently and make his breakthrough – he will go out on loan to gain experience if needed, not yet though.. Right now he likes to spend time in Alexander Song’s pocket, asking question after question about the role he has made his own. He wants that same position to one day become his.. So that’s Craig Eastmond, do you think he has what it takes? Time will tell, but he is a humble lad who has seen his brothers footballing lives crumble, just maybe that is what gives him the drive to become the next central midfielder to not only wear the red and white of Arsenal, but the colours of England too.